Montagne Jeunesse kindly provided me with this little treat for Valentine's Day, but I have only just gotten round to trying it out. 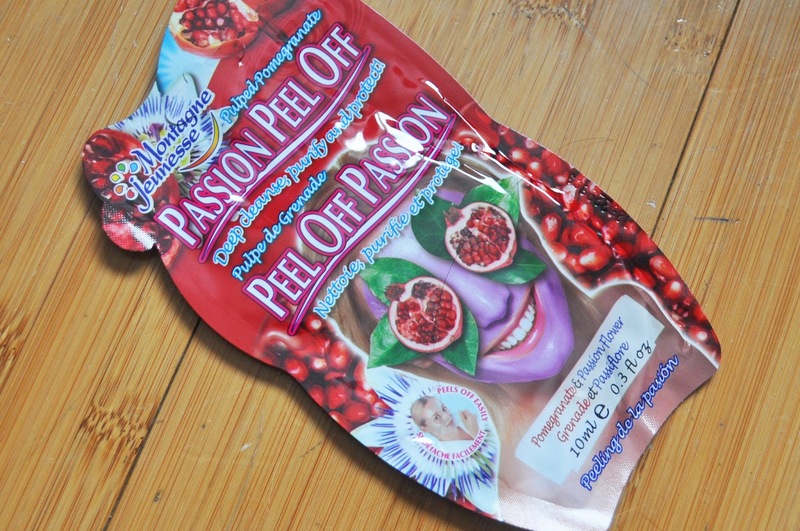 This is the Passion Peel Off Face Mask which is supposed to deep clean your skin whilst also protecting it with it's anti-oxidant rich ingredients. The mask comes in the form of a thick, gooey, pink paste and it smells like pomegranates and berries. Applying it reminded me why I usually tend to steer away from peel-off face masks- I hate how sticky they are and it seems impossible to apply them evenly, which in turn makes it hard to judge how long to leave it on for; the packet suggests 15-20 minutes but it took around 35 minutes for the thicker areas to dry when I used it. I have a love-hate relationship with these kinds of masks, however, as despite hating the application, I find peeling it off grossly satisfying (anybody else?). As usual with Montagne Jeunesse products, I thought the mask worked really well considering how affordable it is. It left my skin feeling tight and clean. I think peel-off face masks are more suited to people with oilier skin as they can be quite absorbing and drying. 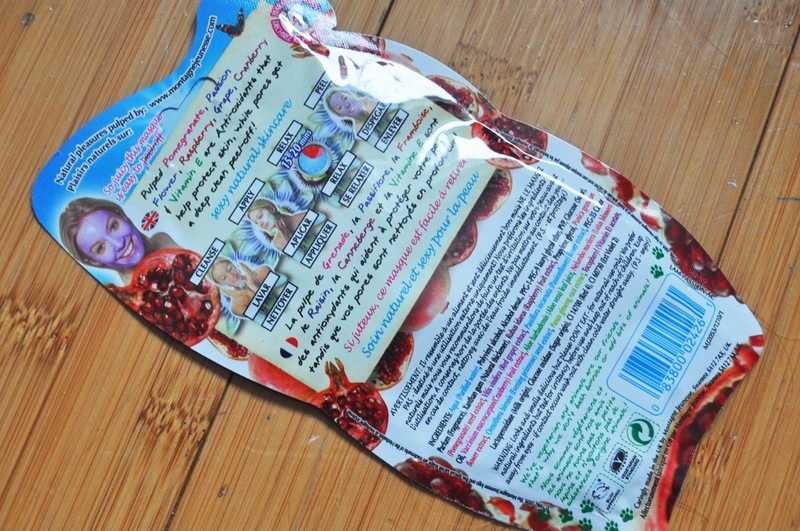 You can purchase this face mask, along with other Montagne Jeunesse products for a tiny £1.09 in ASDA and other leading retailers, and also online at www.montagnejeunesse.com. What's more, Montagne Jeunesse products are suitable for vegetarians and they always try to use natural ingredients. What reason is there not to try out a mask or two?! I hope you like my outfit! Are you starting to transition your wardrobe ready for Spring? 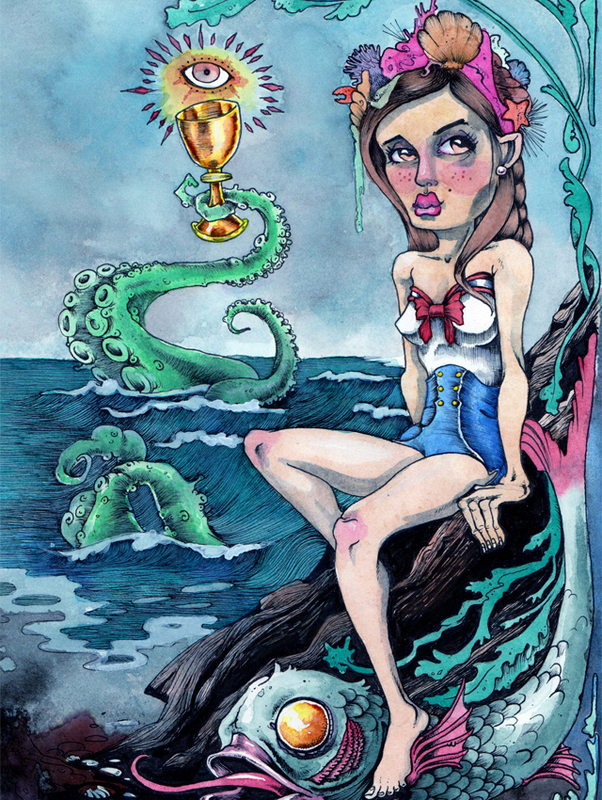 'The Queen of Cups' Tarot Card - Jonathan Silence. 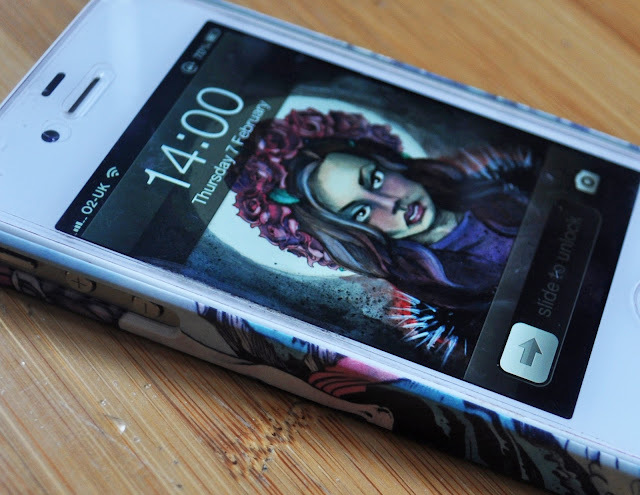 Today, I have the pleasure of sharing with you some amazing art work created by Jonathan Silence. Jonathan is an artist who creates stunningly detailed pieces using pen, ink and watercolour. 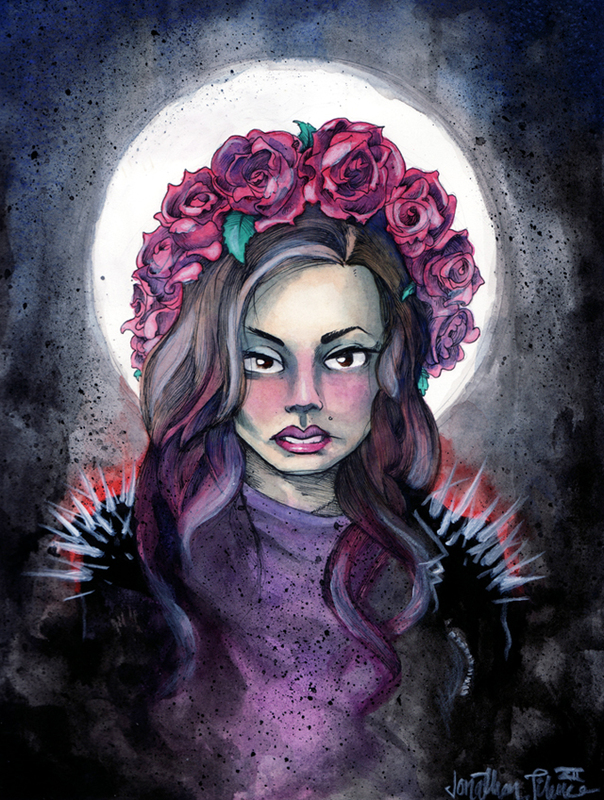 He contacted me towards the end of last year asking if he could use me as the model of one of his illustrations, and being a sucker for portraits and illustrations, I said yes! I am so happy I did as he has created the two wonderful pieces above based on his creative talent and ideas, and photos of yours truly. Jonathan also does commissioned paintings, which, as can be expected, can add up to become quite pricey. 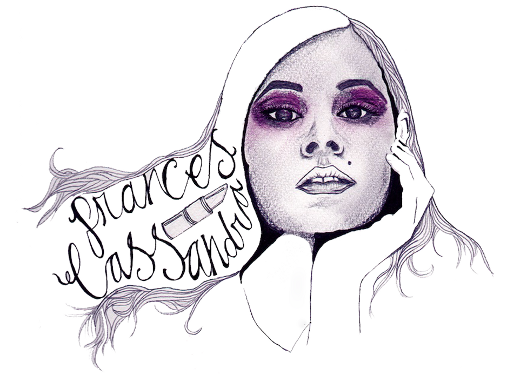 However, Jonathan has kindly offered my readers 25% off their commissioned pieces, so just quote "Frances Cassandra" if you decide to get in touch with him (info@jonathansilence.com). He is great to work with and I am sure he can conjure up exactly what you want, whether it be a brightly coloured painting to decorate your room or a tattoo design. Jonathan Silence has a website and a Facebook page that contain photographs and progress shots of many more of his works, so make sure you go and check them out at the links below! Jonathan also has an online Society 6 store where you can purchase prints of his work, iPhone cases, laptop skins, t-shirts and tote bags. 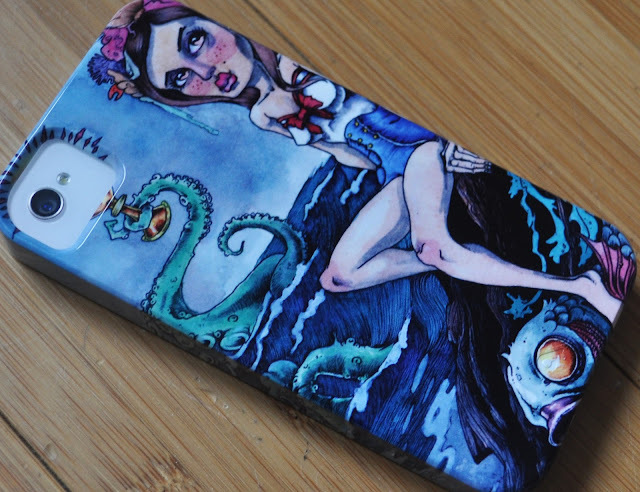 I loved his Queen of Cups painting so much that I had to purchase a case for my phone. It is great quality and I have had so many compliments on it! Click here to visit Jonathan's store.